Chilliwack – The City of Chilliwack believes that public art helps increase the vibrancy and livability of the community, thereby fostering a sense of pride in public places. 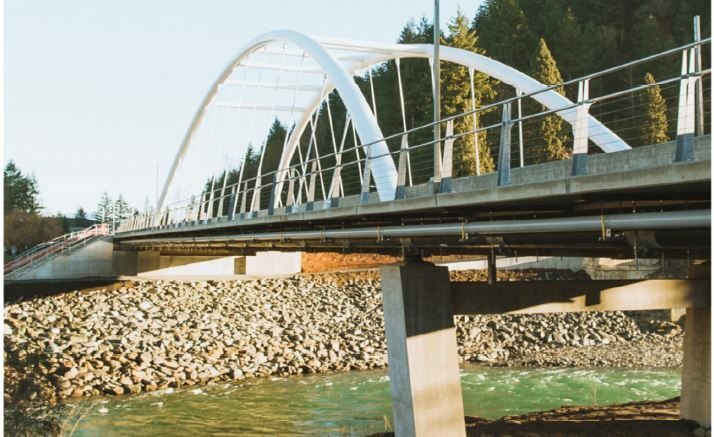 The City of Chilliwack is inviting professional artists to submit public art proposals for the creation of two public art murals on the Vedder Bridge: one on the face of the north abutment wall and the second on the brick façade of the retaining wall. All submissions are due before 3:00pm on Friday April 5. For full details, download the Artist Call Out document. ELIGIBILITY – This call out is open to all artists, especially those who have experience in producing high quality two dimensional large scale pieces. •The artist must submit a resume outlining their experience. •The artist must submit renderings of the proposed public art pieces. •The artist must submit at least two examples of their completed work. •The artist must guarantee that all artwork submitted is original and does not violate the copyright of any other person. •The material used to produce the renderings must be able to withstand exposure to the elements. •The timeline required from start of production to completion. Be the first to comment on "Artist Call For Two Public Art Murals On The Vedder Bridge"